New Zealand has some of the strongest levels of UV radiation in the world, so basically, all of us are automatically at risk of skin cancer if we don’t act sun safe. But how high is your individual risk, and what can you do to prevent skin cancer? It all depends on your family history, how much time you spend outside, and whether or not you “slip, slop, slap, and wrap”. How high is my risk of skin cancer? You can use the quick and easy MoleMap risk assessment tool or the more detailed Skin + Mole Clinic melanoma calculator to find out what your risk of skin cancer is. The Health Promotion Agency and MelNet have developed a paper on cancer prevention and early detection strategies for 2014 – 2017 that contains some useful information on risk levels for skin cancer and ways to prevent it. There are some non-modifiable risk factors, and some risk factors that are modifiable – things you can do to prevent skin cancer. According to the studies from 2006 – 2010 discussed in this paper, Maori and Pacific peoples in New Zealand have 1/9th as many melanomas as other parts of the population, because their skin type provides some sun protection generally. However, they have a higher risk than all others of developing a cancerous melanoma because their melanomas were thicker and more advanced at the time of diagnosis. If you are a Maori or Pacific person, make sure you get to the doctor asap if you ever notice a mole or skin mark that is growing in size or changing colour or shape. 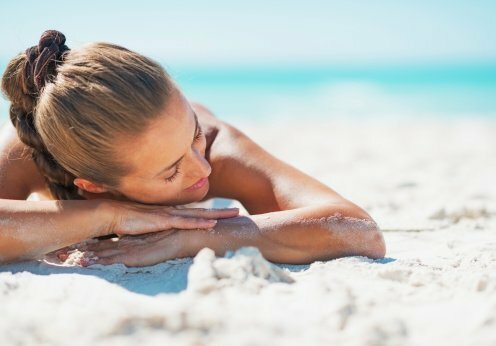 The Dark Side of Tanning skin type tool can help you work out how careful to be about sun safety according to what skin type you are and how much melanin pigmentation is in your skin protecting it from UV radiation. Even the least sensitive skin type needs to stay sun safe, as our eyes are at risk of cataracts and other vision damage if not protected. See which of the 6 skin types in the chart most closely matches the skin on your arms and what action you need to take. SunSmart Schools also has some great information for students, parents, teachers and schools on how to keep kids sun safe while they’re at school. We even list some things to look for when checking your skin for potential skin cancers on our Canstar Blue website. As for what sunscreen to use, you can check the test results for the SPF of various sunscreen brands online with Consumer NZ. In 2012, Kiwis gave Canstar Blue’s customer satisfaction award for sunscreens to Avon. If you’d like more information about taking care of your skin, check out our many other articles about sun safety.